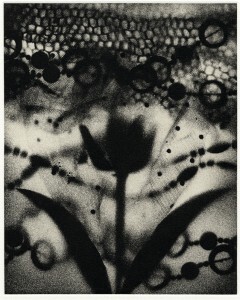 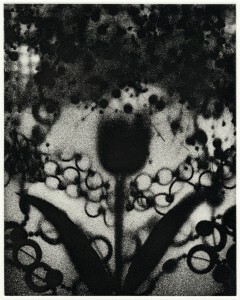 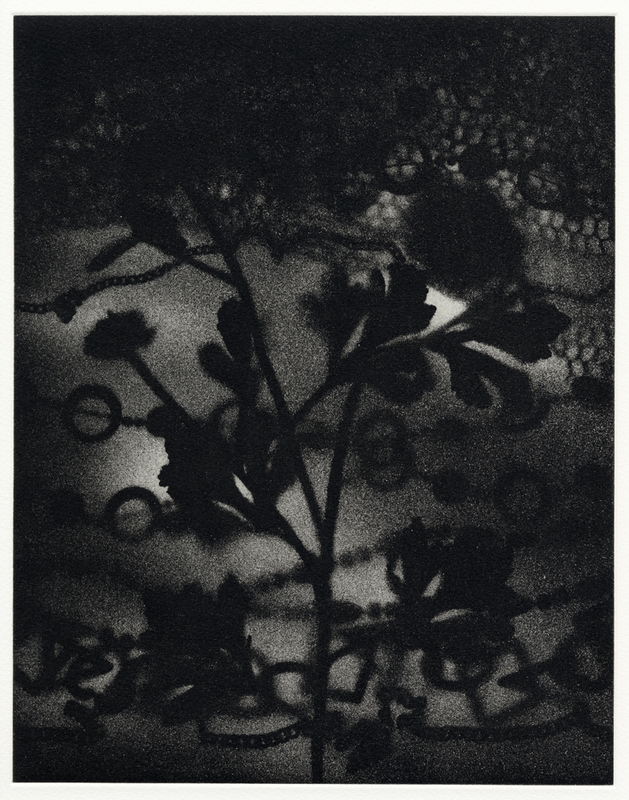 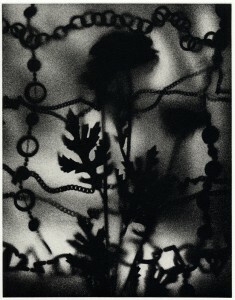 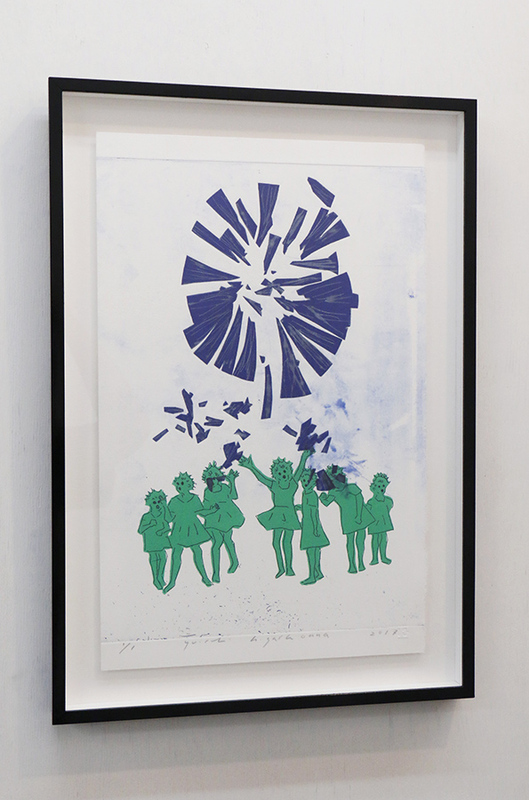 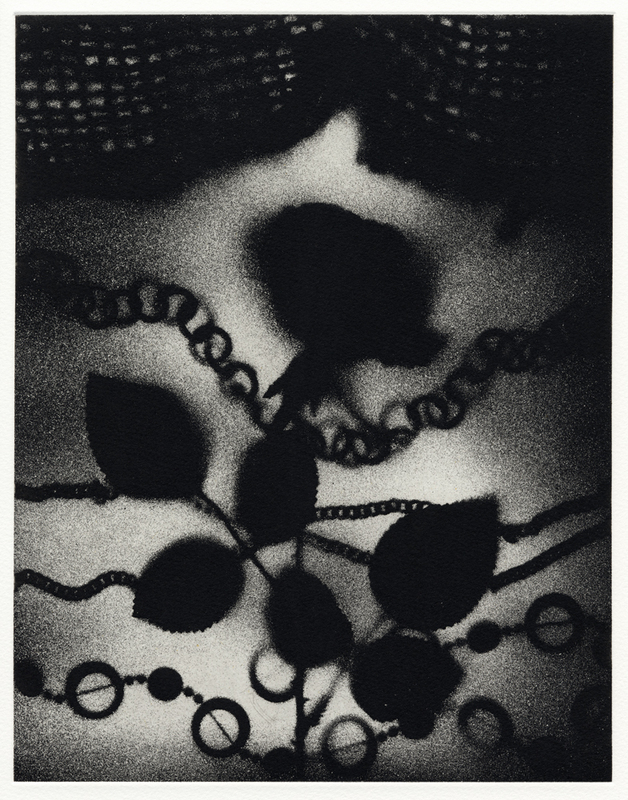 “FLOWER” is a series of eight etchings（aquatint）made by Yuichi Higashionnna in 2006-07. 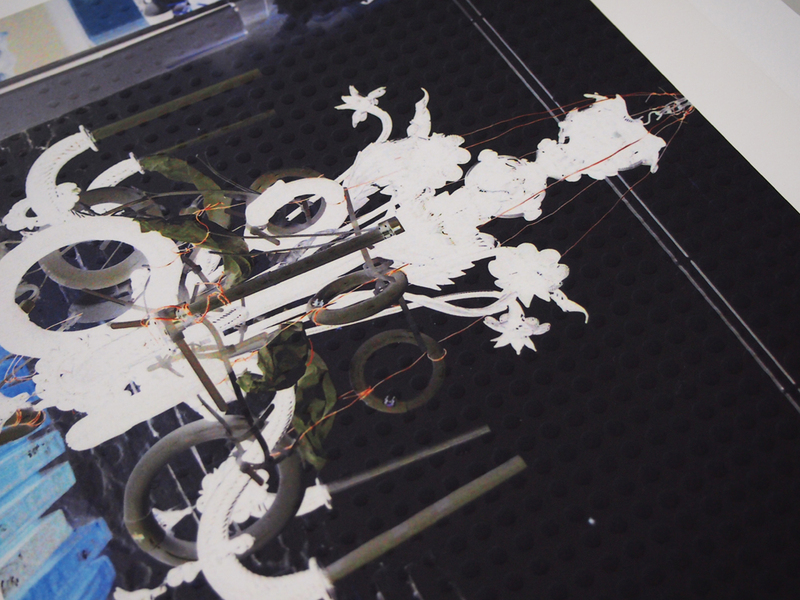 This aquatint technique was diverted and arranged from his flower painting series’ technique（check the images at a bottom of this page). 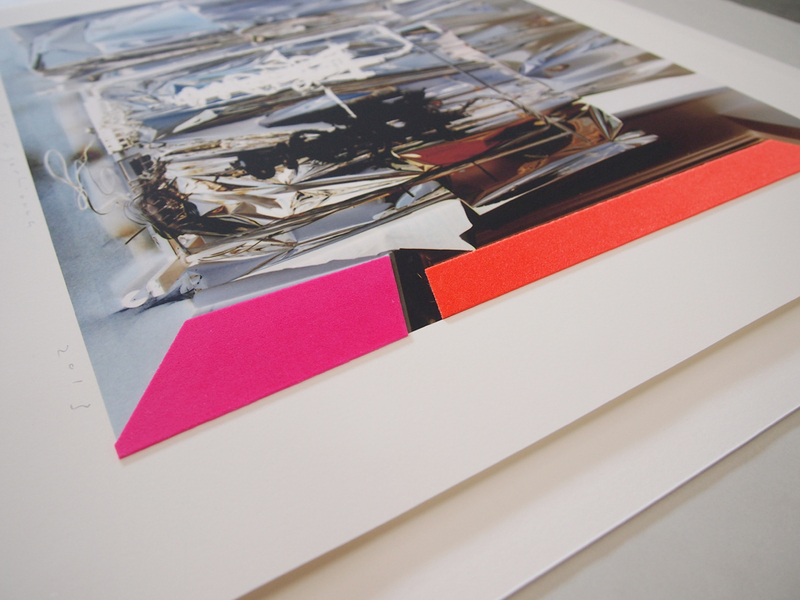 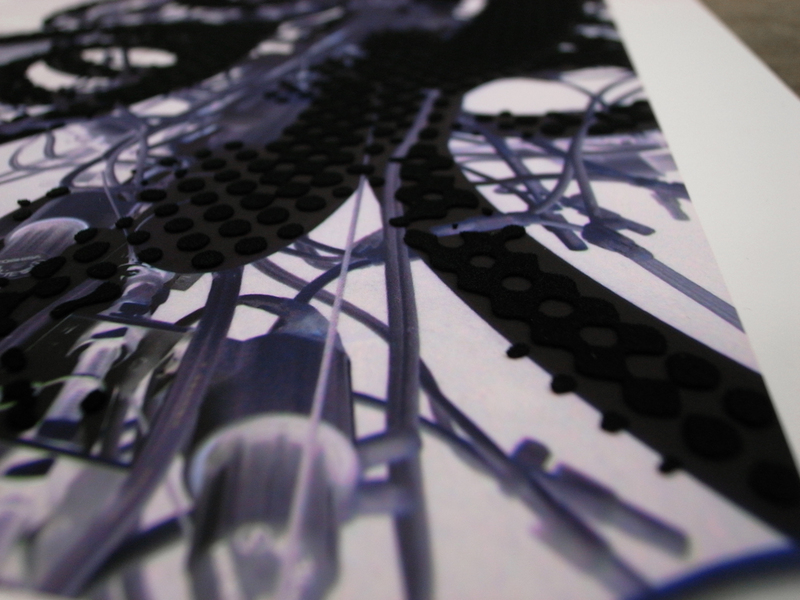 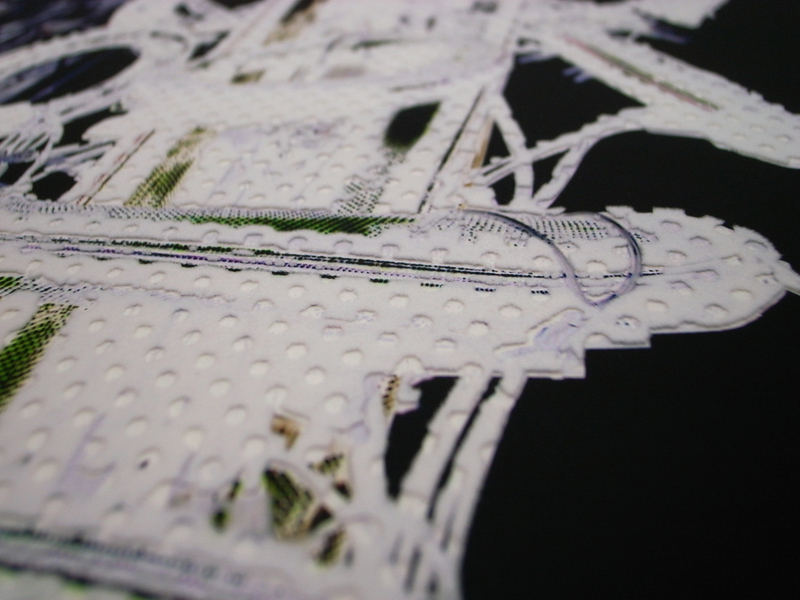 On the canvas of panitings, the objects’ images remain white. 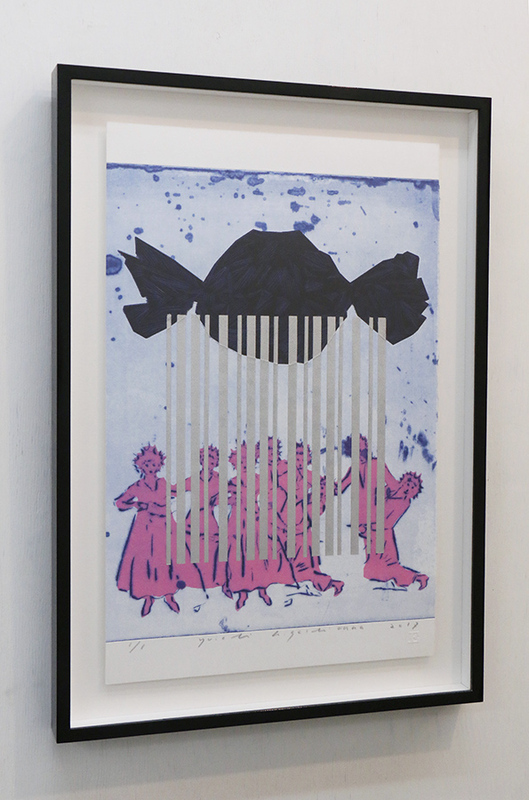 And on these prints, they have gained enriched black bodies for the first time. 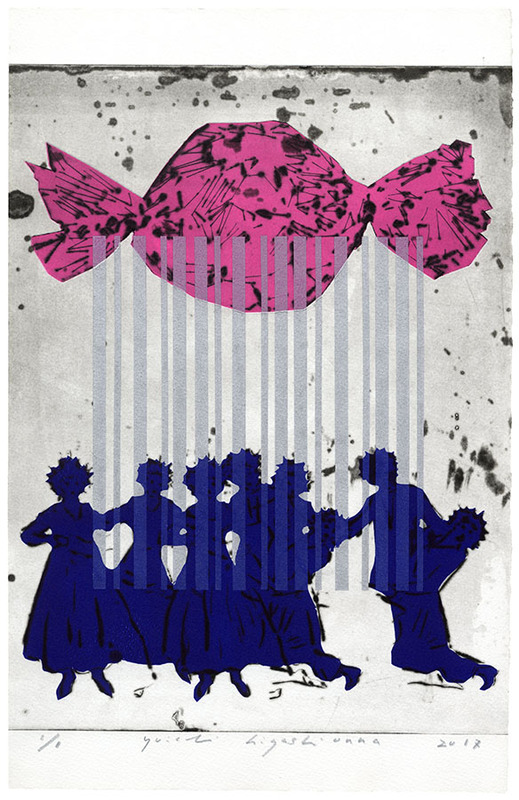 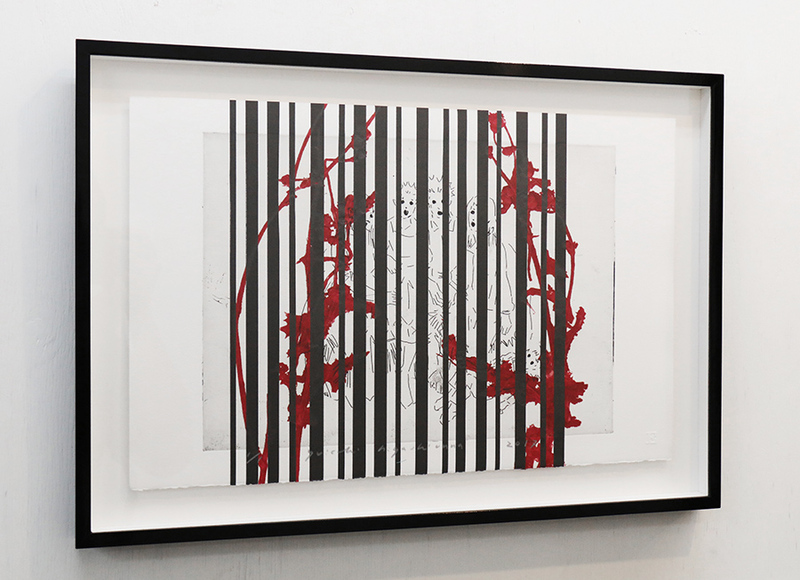 six etchings are installed in almite box dyed in burgundy color. “Negatives”, which we saw and knew from the birth of photograph, are nowadays being forgotten. 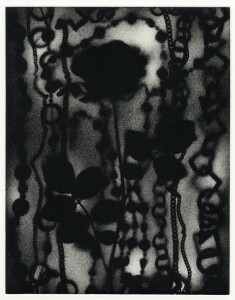 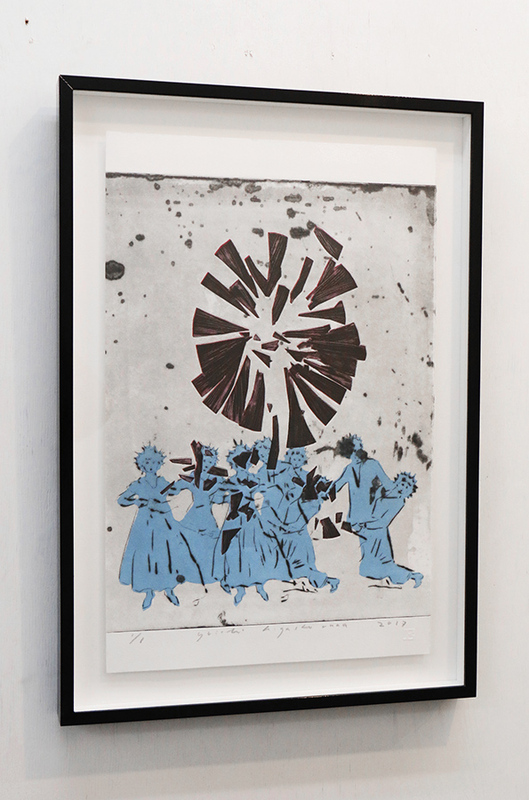 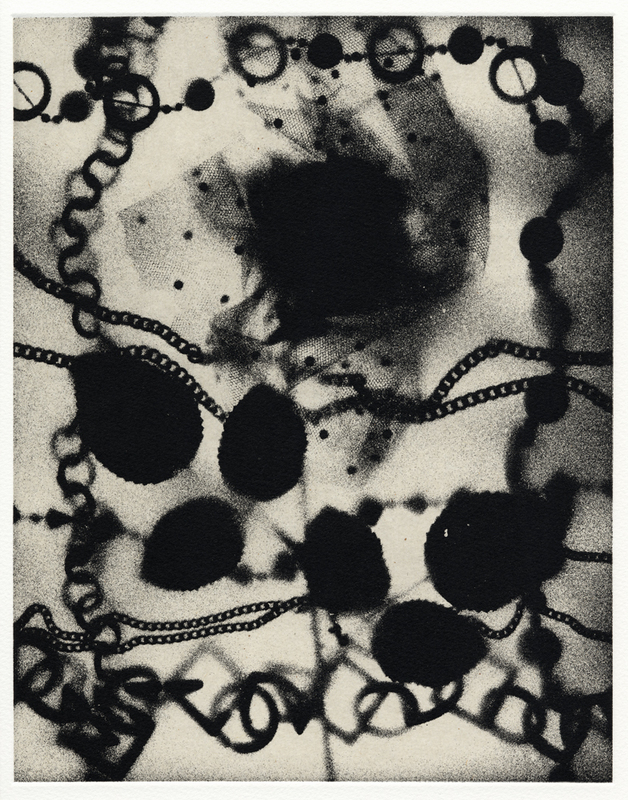 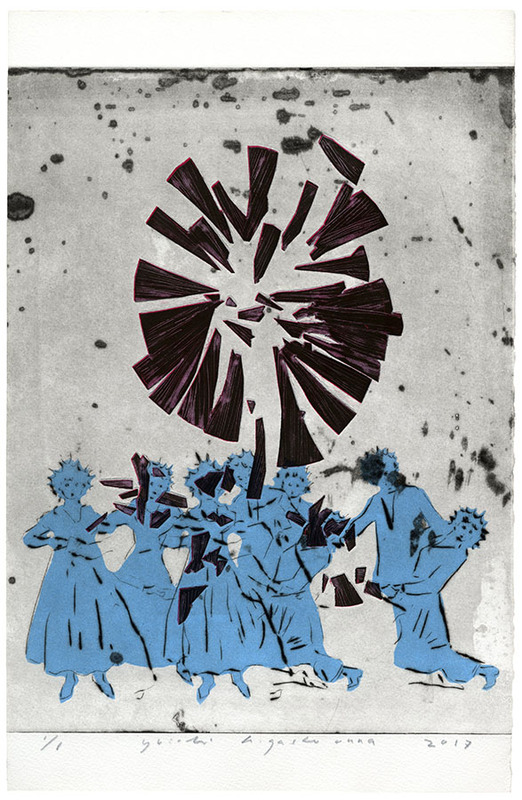 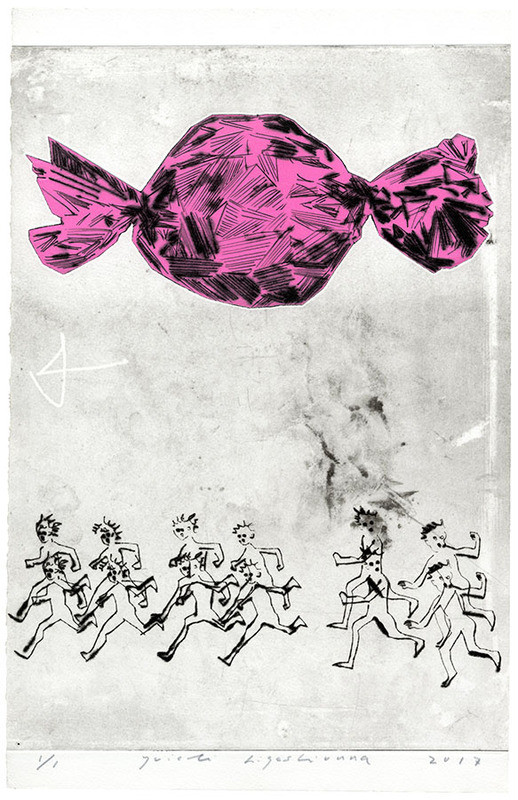 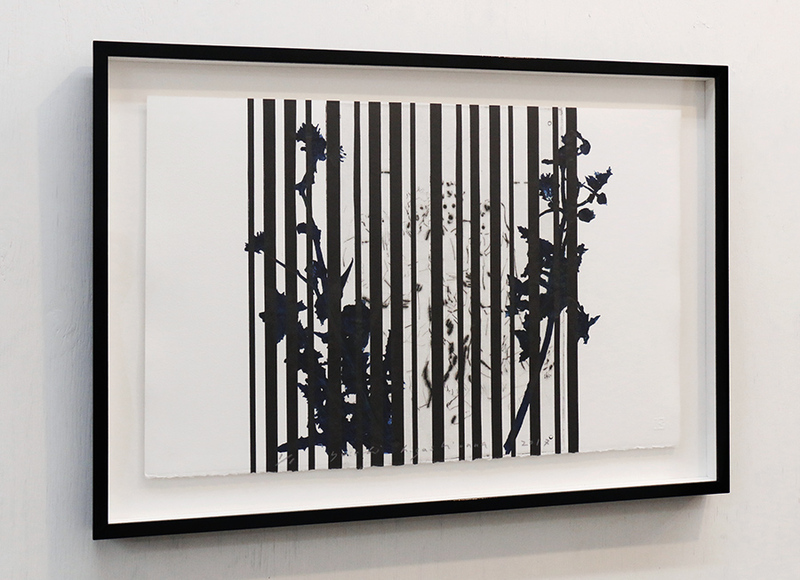 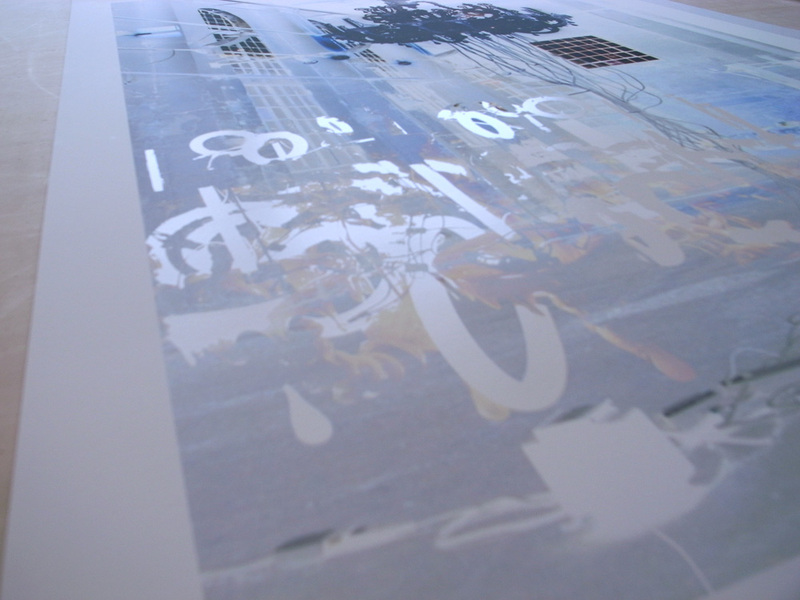 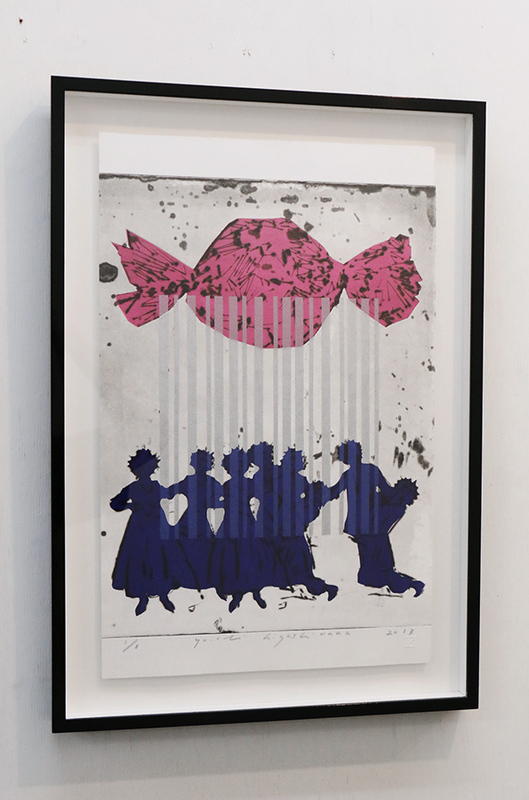 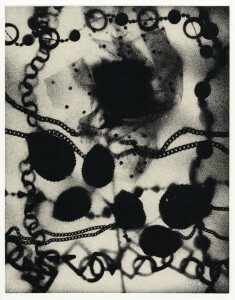 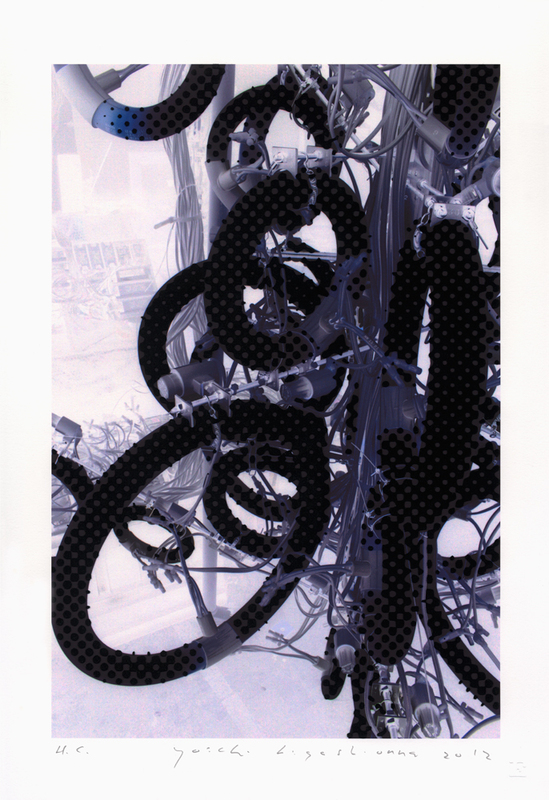 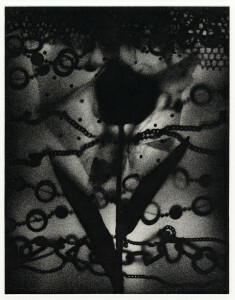 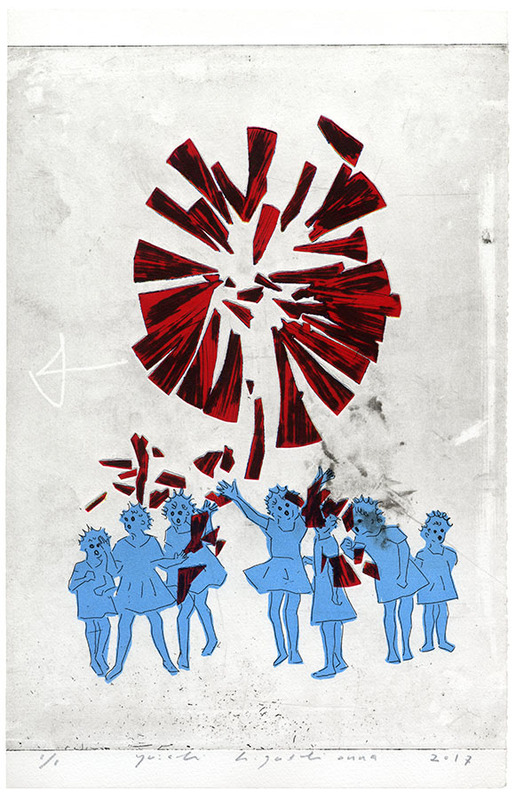 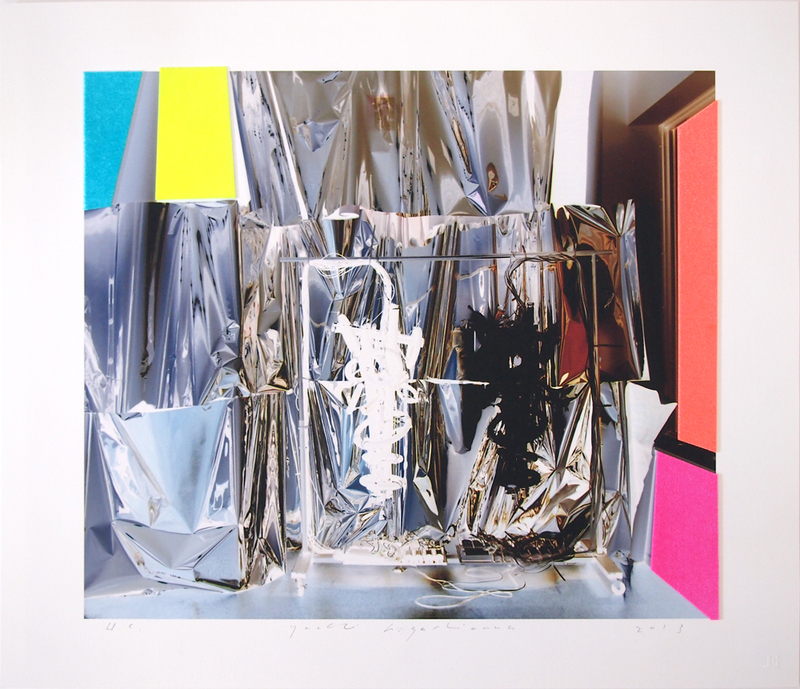 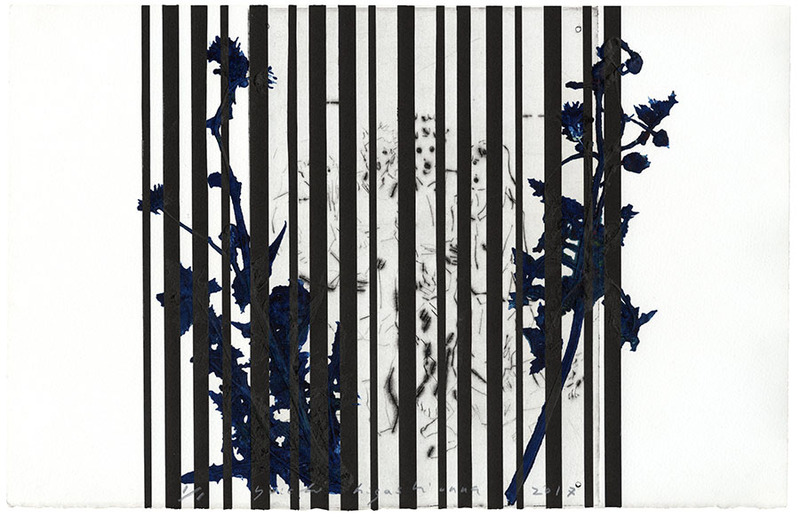 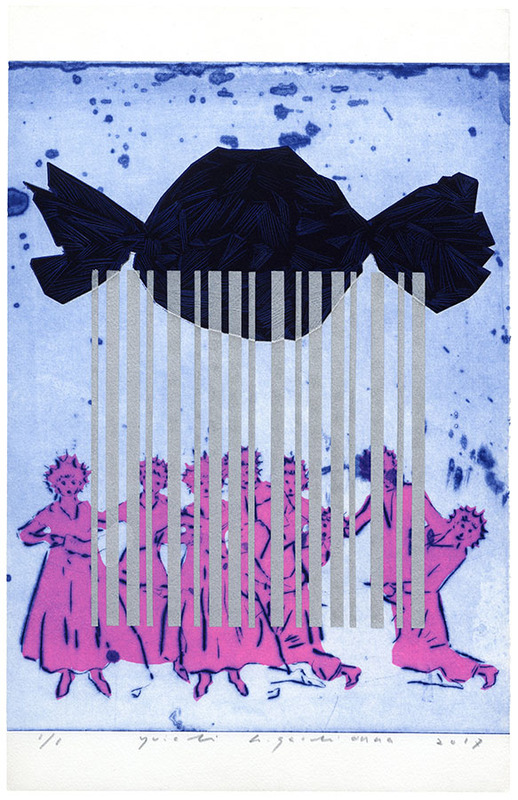 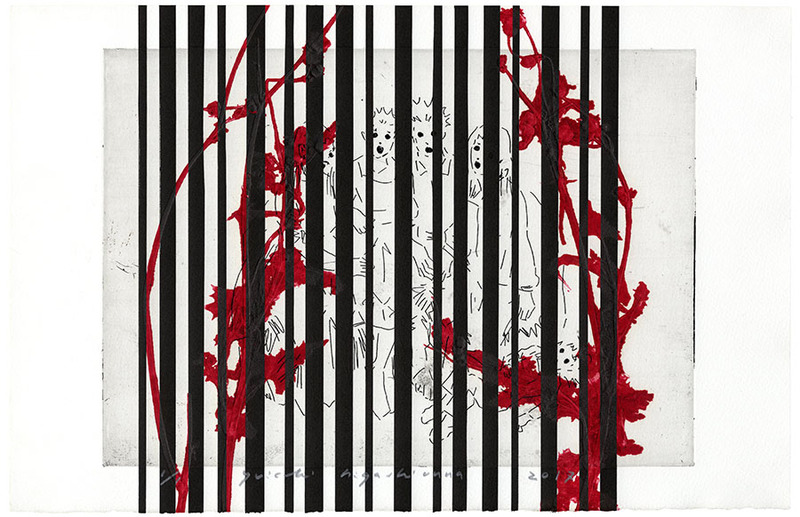 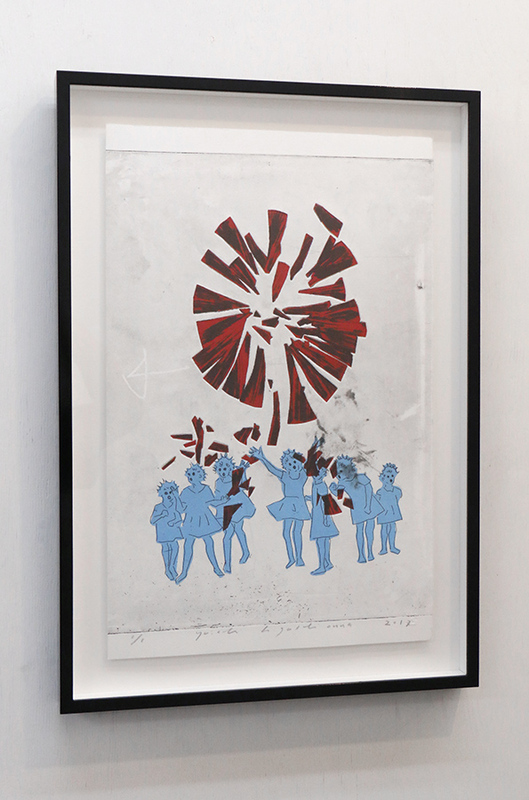 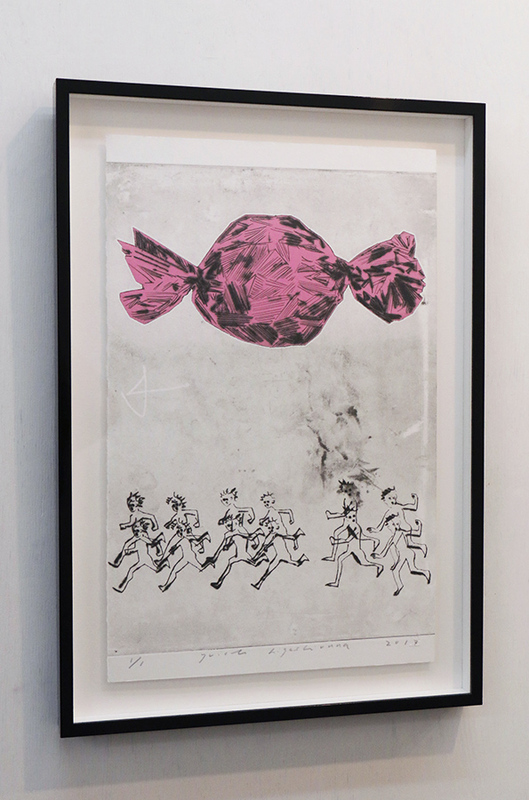 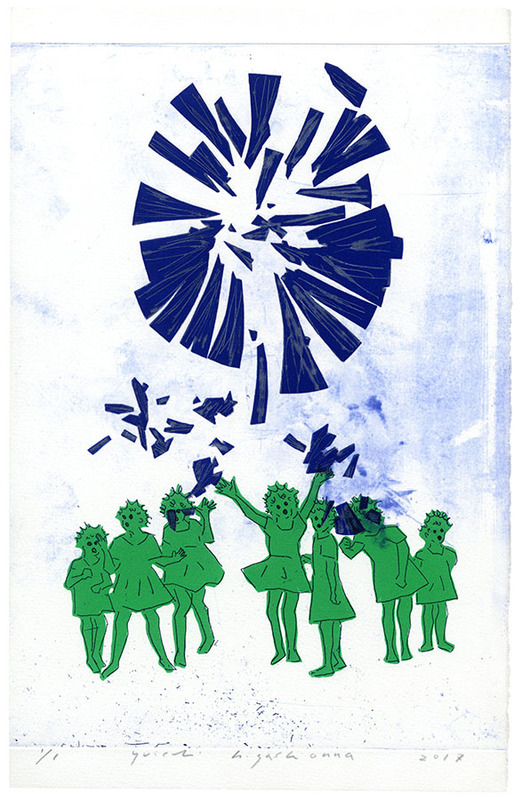 In the print works at this exhibition, the image is inverted, like misleading characteristics of modern print art which is produced with ink-jet. 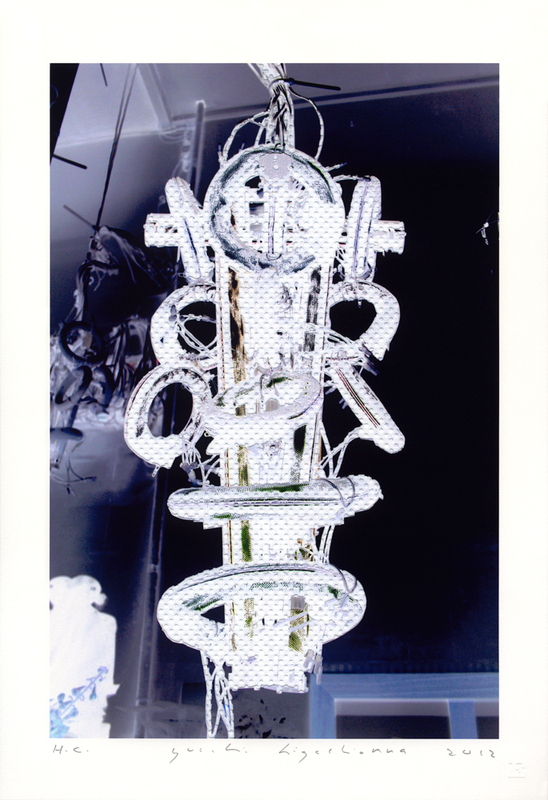 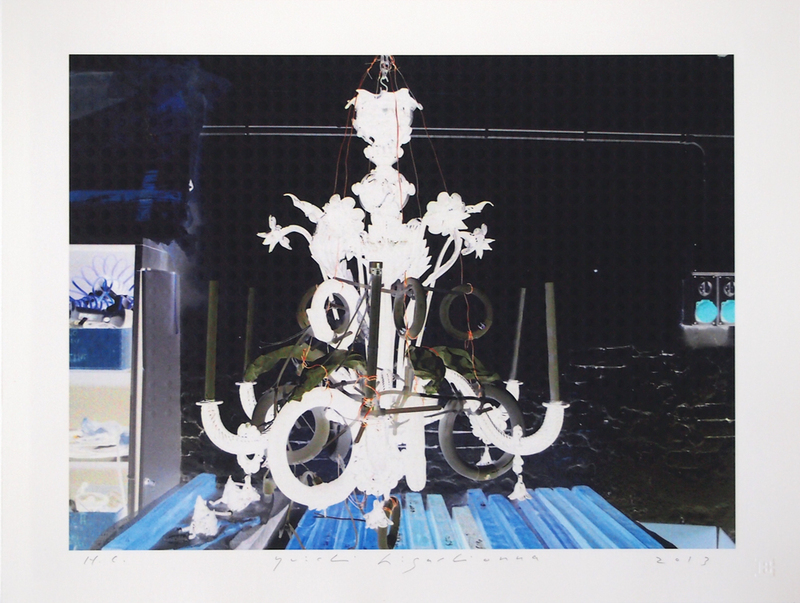 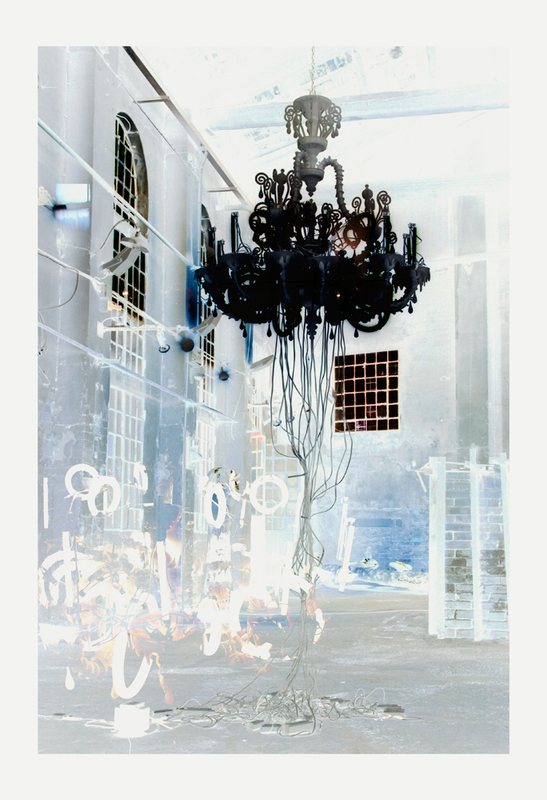 Using my “Chandelier” series as the motif, featured are dark lights which reversely illuminate excess brightness of fluorescent, the irony is digital made by digital, allegory with necromancy and a spirit photo which seeks to bring back “negatives” . . .